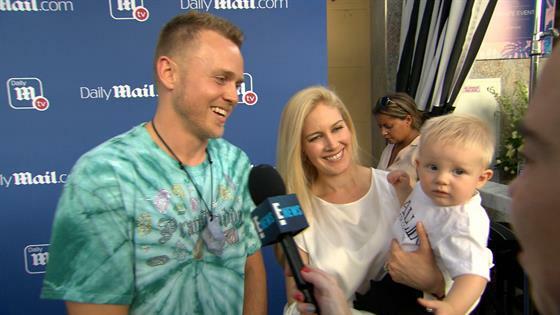 Spencer Pratt & Heidi Montag Want Baby No. 2 When? Forget about The Hills! Heidi Montag and Spencer Pratt have another must-see show on their watch list. As the proud parents continue raising baby Gunner, some fans may be wondering if the unforgettable MTV stars still watch reality TV. The short answer is absolutely yes and one involves their former co-star. "Kristin Cavallari and I just texted about Very Cavallari," Heidi shared with E! News at Daily Mail's Summer Party held inside Tom Tom in West Hollywood. "I loved it. She's so good. I just texted her about that." Spencer added, "I love Jay Cutler so much. Jay Cutler is Les Miz. He's unbelievable." When not squeezing in some TV time before bed, Heidi and Spencer can likely be found savoring time with their growing boy. According to the proud parents, baby Gunner is crawling, eating everything and just plain busy. But no matter how crazy parenthood gets, both mom and dad are open to having more kids. "I'd love a girl or a boy. I love having a son. It's so much fun," Heidi shared. "If we have another boy, we will probably have three." Spencer added, "A psychic did tell us we're going to have twins so watch out Mary-Kate and Ashley Olsen." Before the family expands, Heidi is focused on planning a family play date with some of her Hills co-stars. After all, everyone in the group is moms now! "I keep in touch with Audrina and not really Whitney or anyone else," she shared. "Audrina and I keep saying [have a play date]. Kristin we have to go a little farther." Dorinda Medley, Blac Chyna, Teddi Mellencamp, Heather McDonald, Mercedes "MJ" Javid and Reza Farahan were also in attendance for the star-studded party that included Tom Tom Cocktails titled "It's Not About the Matcha" and "Vanderpump Drools." Nicely done, Tom Schwartz and Tom Sandoval.